For the latest updates and specs on this board, always check the official Moteino guide. I can’t wait to see what you guys will make with these! UPDATE: A sample RFM69 sketch for WeatherShield R2 is posted here. WeatherShield is now at R2 and although the PCB is very similar to R1 there are some significant differences. The R1 used to have a BMP180 until Bosch decided to stop making it. So R2 came about partly because of that reason, and is now shipped with a BME280 which includes all Temperature/Humidity/Pressure readings all in 1 sensor. 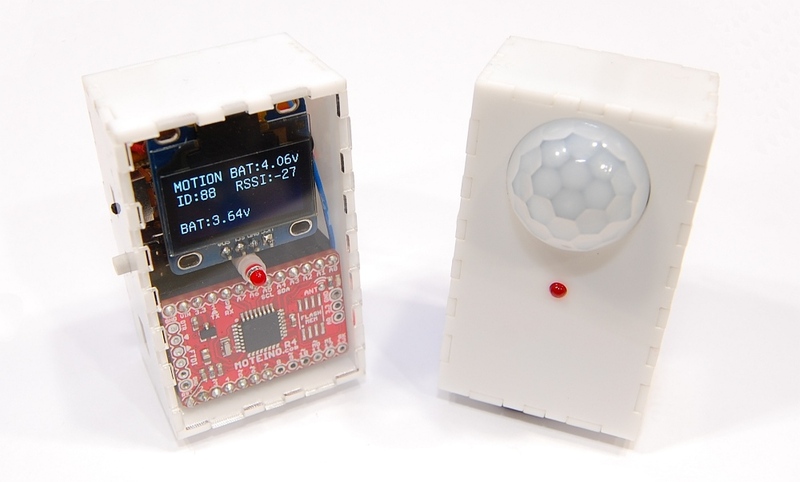 This sensor is pretty popular it seems so hopefully the supply will be plenty for a long time. The voltage monitor circuit is now without a mosfet – this was removed and a resistor was added (the angled resistor) to tie the circuit permanently to A7. The old pads are still there so including the mosfet as on R1 is an option if someone really wants it. The board will idle at around 3.5uA when the sensor is put to sleep because of the voltage monitor. That’s still very low power but if you want 100nA instead and don’t care for battery monitoring, cut the jumper to A7. Bring your feedback in the forums! I would like to introduce the new MotionMote R3 revision. The kit will be mostly the same, with the exception that it supports some exciting new options. Read on for details.